Age is the only thing in this world that continues to grow, never decreases. But for a number of great athletes, age is just a number. A number of athletes prove they are still capable of appearing competitive at the top level even though they are not young anymore, one of them is clear: Cristiano Ronaldo! Today, February 5, 2019, the Portuguese striker is 34 years old. An age where footballers’ careers usually fade. But, Ronaldo is one exception. CR7 showed no signs of fading with Juventus. After having difficulty adapting at the start of the season with Juventus, Ronaldo is now showing his best quality. Two goals against Parma, last weekend, made Ronaldo temporarily become the top scorer while the Italian League with 17 goals. Ronaldo also became Juventus’ top scorer with 19 goals and assist top with nine assists. The former Manchester United player has scored 13 different clubs in the Italian League. Many parties, including Zlatan Ibrahimovic, consider Ronaldo’s decision to move to Juventus is not a challenge. Because, Juventus has been the king of Italian Serie A since 2012. The dominance of Juventus in the Italian League is not able to shake up by AC Milan, Inter Milan or Napoli. However, it is not an easy task for an attacker to immediately adapt in the Italian League which is known to have extra defense games. Moreover, Ronaldo’s main task when bought € 100 million from Real Madrid is to score. 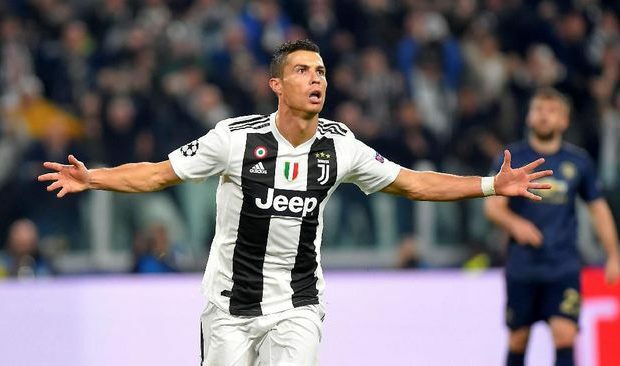 Remarkably CR7 came to Turin at an age that was no longer young, in contrast to Marco van Basten, Ronaldo Nazario, and young Andriy Shevchenko when present in Italy. It’s not an easy task for Ronaldo to become one of the greatest footballers in history. Yes, Ronaldo must work hard to finally be able to have a football career to this day. Ronaldo is not born with natural talent as a great footballer. Ronaldo must work hard, spend hundreds of hours in the gym and practice field to maintain body condition and hone playing skills. That habit made Ronaldo almost never suffered a serious injury throughout his career. Ronaldo even claimed to be the most fit footballer in history because he only has seven percent fat in his body. The record is three percent less than the average of other footballers. Ronaldo is not Lionel Messi who seems to have been born naturally as a footballer. That was admitted by Carlos Tevez, the attacker who had played with Ronaldo at Manchester United and Messi in Argentina. Tevez said almost never saw Messi in the gym or extra training. While for Ronaldo, Tevez claimed he could never defeat the former Sporting Lisbon player in terms of training. “When the training began at nine in the morning, I arrived at eight and Ronaldo was at the practice site. When I arrived at 7:30 he arrived. I asked myself, ‘How do I get rid of this player? So one day I came six, but he’s already there! A little sleepy, but he’s already at the training ground, ‘Tevez said in an interview. Rivalry with Messi is also one of the reasons Ronaldo was able to be at the top level of football in the past decade. Rivalry of Ronaldo vs. Messi like Larry Bird vs. Magic Johnson in the NBA or Niki Lauda vs. James Hunt in F1. Thanks to that rivalry, Ronaldo is still considered one of the best footballers in the world at the age of 34. The proof is Ronaldo remains the nominee of FIFA 2018 world best player, only losing to Luka Modric.